Your landscape is the basis of your curb appeal. Passersby notice everything from the color of your grass to the type of plants you use in your garden beds, and they don’t waste a second judging your home like the cover of a book. It’s this that makes landscape rehabilitation so important. If you’re unsure what landscape rehabilitation is, it’s a simple explanation. 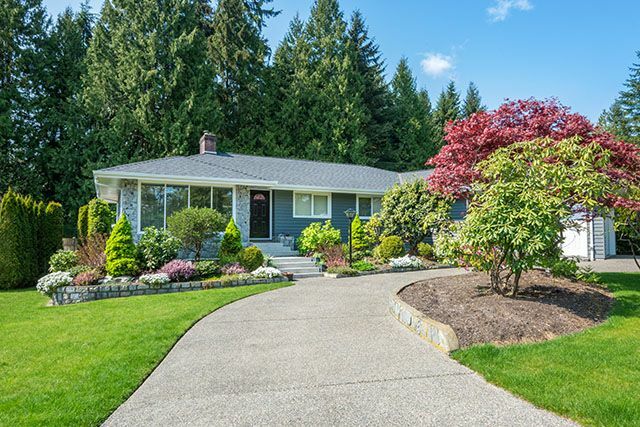 It’s the process of taking what you have in terms of landscaping and rehabbing it to make it more appealing, more beautiful, and more conducive to a good first impression. Whether you need little more than a few shrubs or plants by the front of your home or a complete overhaul of the entire yard, A Great Choice Lawn Care & Landscaping provides experienced landscape architects with knowledge and experience. Our team of professionals works with you to create a comprehensive overview of what you want combined with what works for your home. 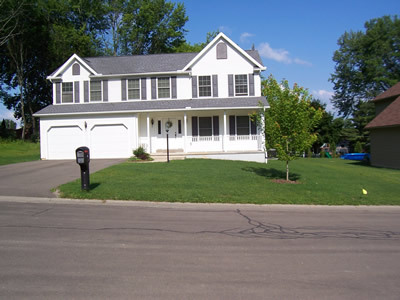 Our goal is to make your home stand out more than the other homes in the Greater Binghamton area. 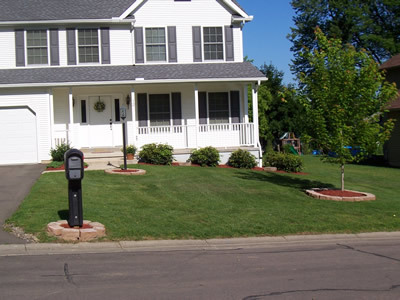 Curb appeal is our specialty, and we make sure your home is the envy of everyone on your block. Our team of professionals offers a variety of services for any home. It doesn’t matter the size of your home or lawn. We work to make sure it pops no matter what it looks like right now. From filling in the dead patches of grass that make your lawn appear so unsightly to laying all new sod for new construction homes, we do it all. Sometimes all you need is an eye for design to help you choose flowers, locations for planting, or even someone to come to your home and prune your already beautiful landscaping to give it the little bit of help it needs. We install rocks, mulch, or any other ground covering you prefer, and we plant the shrubs, trees, and flowers you choose. 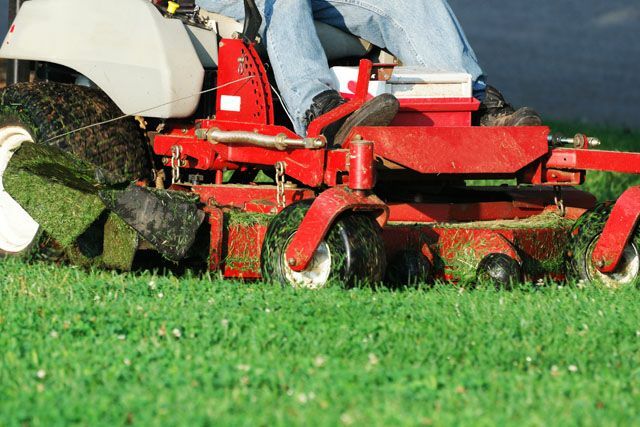 Once you determine your lawn needs help, our team of professionals begins working on your project. We like to see your home and the existing landscape to get a good idea what it needs. All homes are different, and we take many factors into consideration before presenting you with a concept for landscape rehab. In an effort not to overdo or under-landscape your lawn, we take into consideration the neighborhood and the type of homes located here. Our goal is to make your home appear special and beautiful while keeping up with the overall style of the area. Our designs are tasteful and elegant, and we always take what you want and turn it into a reality. Once we come up with a rough design for your lawn based on what we determine works and what you want as an overall picture, we present it to you for final approval. Once we have your approval, our crew begins working. We take care to do the job right the first time, but we pride ourselves on handling our business quickly and efficiently so you can get back to living a normal life as quickly as possible. No two landscape rehabilitation projects are the same. The cost of your design depends entirely on the scope of the project. The size of the job, materials used, and the plants and shrubs you choose to incorporate into your lawn are all factors in the cost of your rehab project. The good news is that we have options for every budget, so you can still achieve the gorgeous lawn you’ve always wanted. Call our landscape rehabilitation professionals today at A Great Choice to schedule an appointment to have your lawn rehabbed. You can fill out our online estimate or give us a call at (607) 729-3451 to discuss your options with our team of professionals. We are here to answer your questions, take the time to make your dreams come true, and to turn your home into the envy of everyone in the neighborhood. Let your landscape doing the talking by calling us for a rehab estimate today. Our team of professionals is looking forward to making your landscape dreams come true.